- Weighs 9,314 lbs - 74" wide - 82" tall. - Wide 15" rubber tracks create 4.9 psi of ground pressure for excellent flotation in wet or muddy conditions. - Electric over Hydraulic hand controls are switchable between "H" control or "I" control for operator preference. 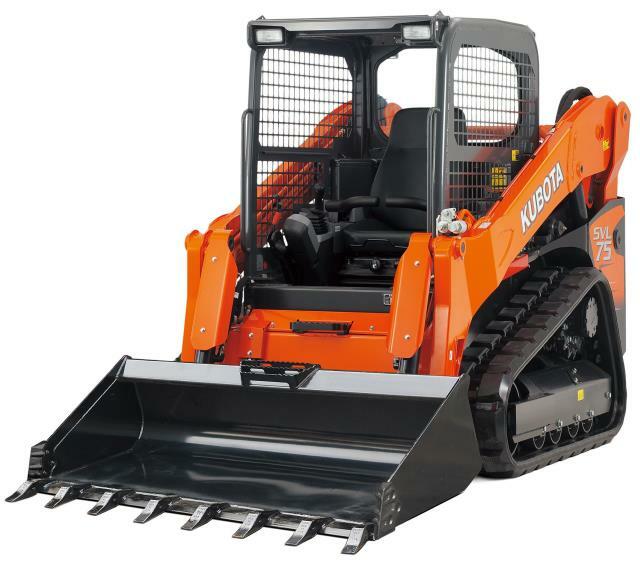 * Please call us with any questions about our loader track skid steer rentals in Oak Grove MO, Blue Springs MO, Independence MO, Lexington MO, Odessa MO, Independence MO and Western Missouri.